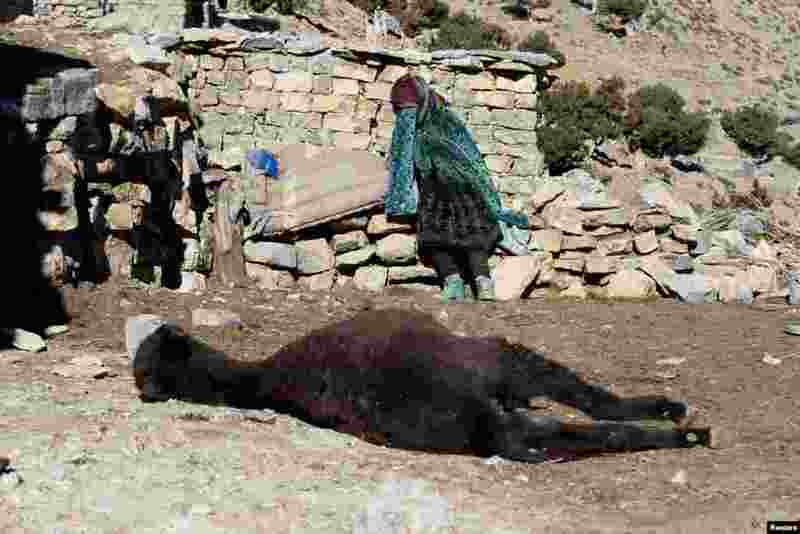 ۵ A woman mourns her dead donkey in Ait Sghir in the High Atlas region of Morocco. 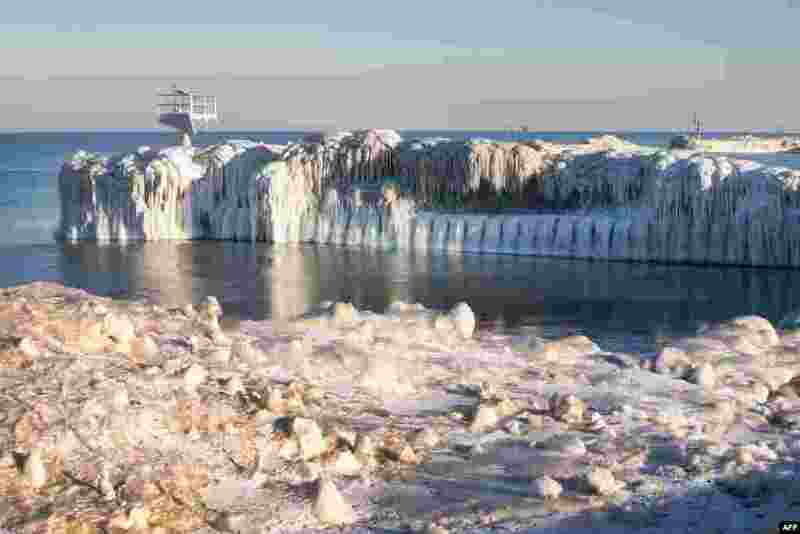 ۶ Ice builds up along Lake Michigan in Chicago, Illinois, USA, Feb. 23, 2015. The city is struggling through the third coldest February on record. ۷ Models present creations of Serbian designer Marko Mitanovski during the 2015 Autumn/Winter London Fashion Week. 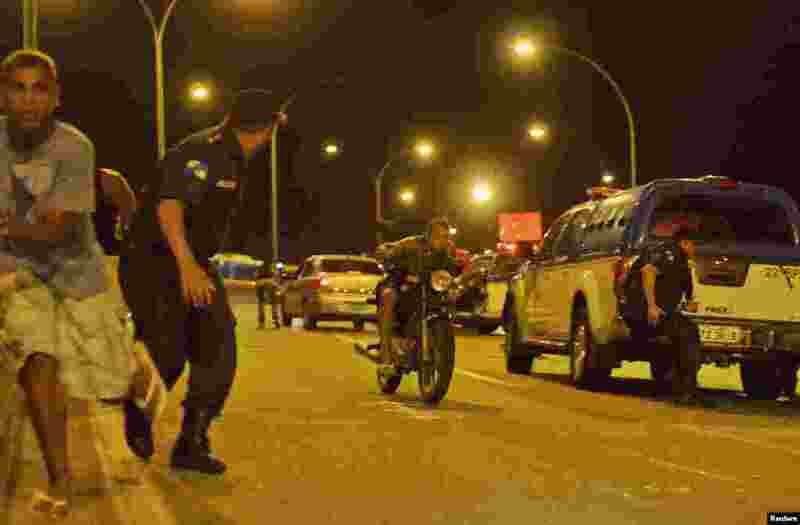 ۸ Policemen take position as a resident rides his motorcycle during a shooting with suspected drug gangs after a protest at Linha Amarela highway near the slum complex of Mare in Rio de Janeiro, Brazil, Feb 23, 2015.